This beautiful Easter card is perfect for you to celebrate Easter Sunday. This pretty card is busting with spring and features a raised egg panel that is finished with diamantes and a satin bow. 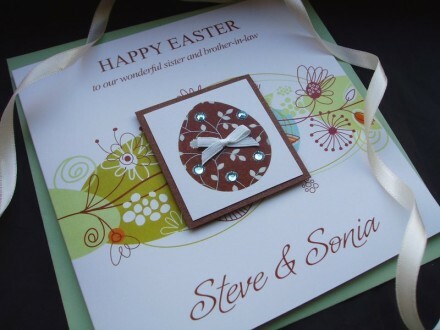 A personalised Easter card that is sure to delight friends, family and loved ones.